Fred Stein (1909-1967) was a master of street photography. As an early pioneer of the hand-held camera, he captured poignant moments in the street life of two of the world's great cities: Paris and New York, where he lived after fleeing from Nazi Germany. This same immediacy infuses his portraits of the great personalities of the era, among them Albert Einstein, Georgia O'Keeffe, and Marc Chagall. Stein's images are a vital document of the twentieth century and an important part of photo history. He left behind an existensive oeuvre which this publication presents comprehensively for the first time. Fred Stein (1909, Dresden - 1967, New York) was a master of the art of street photography. His portraits and reportage had appeared in newspapers, magazines, and books throughout the world. He had numerous one-man exhibitions, gave frequent lectures, and had several books published. Dawn Freer Dawn Freer is an editor who lives in upstate New York withher husband, Peter Stein. After a career in feature films, she moved on to independent documentaries, winning many awards. Her editorial work includes manuscript editing and fine art photography editing. 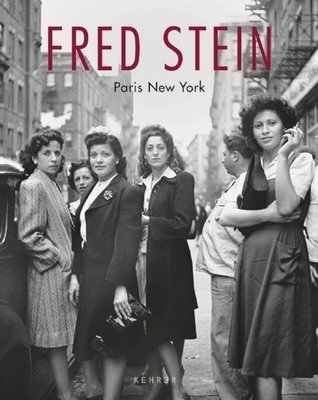 She has been working withthe Fred Stein Archive for thirty years. Cilly Kugelmann is curator and vice director at the Jewish Museum Berlin, Germany. Gilles Mora is a curator and scholar of modern American photography. He is the author or co-author of important monographs on Walker Evans, Edward Weston, W. Eugene Smith and others. He is currently the artistic director of Le Pavillon Populaire in Montpellier, France. Biographer and poet, Rosemary Sullivan is professor emeritusat the University of Toronto.